2017 Ripple Effect Blue Carpet Premiere! 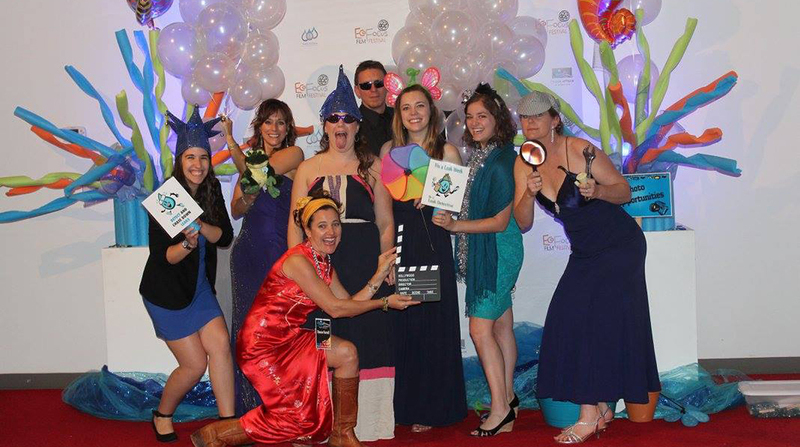 Fun at the 2016 Ripple Effect film premiere. Photo courtesy of Athens Clarke County Water Conservation Office. The Ripple Effect Film Project was founded in 2013 as part of the EcoFocus Film Festival. REFP is a short film and PSA contest for filmmakers of all ages and abilities. Filmmakers from Georgia submit films and PSAs about a variety of environmental and water-oriented topics. In 2016-2017, ECOGIG partnered with REFP as a way to engage statewide filmmakers and audiences about ocean conservation topics. The 2017 theme "Ocean Connections" asked filmmakers to examine our relationship to the ocean and demonstrate the impacts of our behaviors and decisions on the ocean. Films were submitted in January 2017, and the finalists were shown at the "Blue Carpet Permiere" showcase in March 2017.